Toobs and hamsters go together like peanut butter and jelly. So bring on the toob race! Roll your hamster through every toob you see, and watch out for the pinball madness! You're also going to meet some speedy fellas called the block dawgs here. They live up to their name, so don't let them block your path! Oh yeah, and there's a couple tools out to get you on this course, too, but you're much too clever for them. 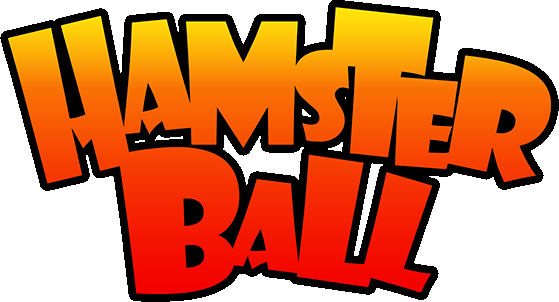 Toob Race is the 9th (10th in Gold) race in Hamsterball. Toob is actually just a joke on the word Tube. Toob Race has a blue background just like Intermediate Race. Although, it is more vibrant. The Toobs however are yellow. Making the race being the most colorful course. Toob Race and its area does not appear in the port. This is the second appearance of those bouncy stuff except they're more dangerous and more of an obstacle than a booster. Although, it's main features are toobs, they don't really serve much purpose other than bring the hamster from one place to another. In fact, the tubes after the construction tools serve no purpose whatsoever, since there is LITERALLY a bridge on both tubes. You are on top of a spinning platform (counter-clockwise). Go to the toobs. A tip is to try to shoot in the hole of the platform. Depending on which toob is chosen, the player will either go to a lane without a saw or a pathway that cuts the ground in half. After that there will be another pair of toobs one without a hole, and one with a hole caused by a saw (if you're lucky, you can go to the latter before the saw cuts open the floor). Then go down two ways and avoid the Blocker Dawgz. Fight off the 8-ball without falling from the more dangerous bumpers. Go down the tube and you will be designated on a path. Follow it wisely using the arrows as a guide. Go downwards even more to go to a long tube where you will go through a ramp and a 180° bridge making it to the goal.